A head crash is a specific type of physical hard disk failure, and occurs when the read-write head of a hard disk drive touches its rotating platter resulting in catastrophic damage to the magnetic media on the platter surface. Hard drives are very complex storage devices. You can read more detail about their design and operation here. The primary components being the read-write heads (the component that reads and writes your data) and the platter (the component that actually stores your data. The internal function of a hard drive is similar to that of a record player. The platters are akin to the record…and the heads are like the needle. The heads normally ride on a thin film of moving air entrapped at the surface of the platter, this is typically referred to as an “air bearing”. The topmost layer of the platter is made of a Teflon-like material that acts like a lubricant. Underneath is a layer of sputtered carbon. These two layers protect the magnetic layer (data storage area) from most accidental touches of the read-write head. What Causes A Head Crash? A head crash can be initiated by tiny particles of dirt or other debris. In modern hard drives the read-write heads can float as close as 6 nanometers above the platter. That is only slightly more the twice the width of a strand of DNA. which can cause the head to bounce against the disk, destroying the thin magnetic coating on the disk. The disk read-and-write head is made using thin film techniques that include materials hard enough to scratch through the protective layers. Since most modern drives spin at rates between 5,400 and 15,000 RPM, the damage caused to the magnetic coating can be extensive. At 7,200 RPM the edge of the platter is traveling at over 74 miles per hour (120 km/h), as the crashed head drags over the platter surface the read-write head generally overheats, making the drive or at least parts of it unusable until the heads cool. Following a head crash, particles of material scraped free of the drive surface greatly increase the chances of further head crashes or damage to the platters. This damage to the platters is commonly known as “scoring” and data in this area of the platter is completely unrecoverable. In fact, scored platters are the leading cause of unrecoverable data. There are cases when platters with very light scoring can be recovered from, but only in instances where the scoring has not affected the system area of the drive, which is vital to the basic functionality of the hard drive. If you have suffered a hard drive failure and you suspect the heads have crashed, it’s important not to apply power to the drive. Doing so can cause severe damage to the platter surface, and can render your data unrecoverable. 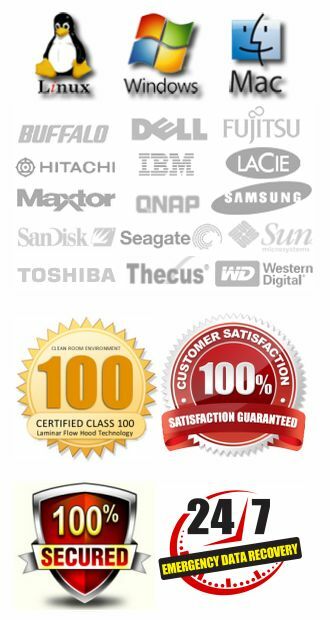 For professional data recovery services, make sure you use a reputable company. 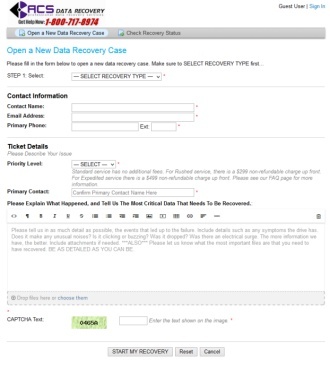 At ACS Data Recovery we never charge an evaluation fee, and there is no charge if your data is unrecoverable in most cases.